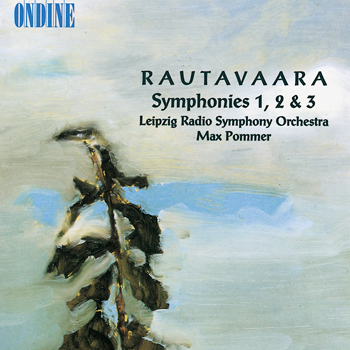 This is music of real character, performed with conviction by the Leipzig Radio Symphony Orchestra under Max Pommer. Yet another unavoidable acquisition for all collectors of twentieth-century music is at hand. This CD is the first volume in a cycle featuring the complete symphonies by Finnish composer Einojuhani Rautavaara. The recordings of the Symphonies Nos. 1, 2 and 3 were made in Leipzig in 1989, with the Leipzig Radio Symphony Orchestra led by its then Chief Conductor Max Pommer, and originally released in March 1990.